There are many factors that can lead to back pain, and while it may seem like the muscles or bones are responsible for this discomfort, in some cases, problems with the nerves along the spinal cord cause pain. Whether a nerve disorder is present, the spinal cord is compressed, or discs have slipped out of position, the nerves can cause a number of uncomfortable symptoms that negatively affect a person’s day-to-day life. 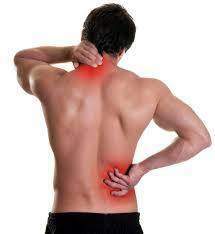 When applicable, back pain treatment is meant to relieve this discomfort and restore routine functions and a general sense of well being. The doctors at Frisco Spine may be able to treat nerve disorders and pain conservatively, but there are times in which spine surgery is necessary. Spine surgery addresses certain nerve disorders to provide our Frisco, TX patients with effective relief from back pain, numbness, and weakening. While these are general symptoms, there may be more specific symptoms depending on what type of disorder is present, or which nerves have been affected. There are many conditions that are classified as nerve disorders, and not all of them can be treated through spine surgery. In fact, it is always best to explore more conservative treatment options before even considering spine surgery. However, in severe cases, or when conservative treatment has proven ineffective, spine surgery may offer relief from the uncomfortable symptoms of some nerve disorders. This is particularly true when the nerves have been pinched or damaged as a result of a slipped, ruptured, or herniated disc, or as the result of a compressed spinal column. In these cases, our spinal surgeons can perform surgery to alleviate pressure from the spinal cord and nerves, whether that involves removing a portion of a herniated disc or shaving off a portion of the lamina to create a wider opening in the spinal column. Each case will be treated individually and will be entirely based on the unique needs of the patient. Back pain can impact every aspect of a person’s day. If you are suffering from back pain and are looking for a solution, you will find what you are looking for at Frisco Spine. We offer conservative treatment options and minimally-invasive surgical treatment to relieve you of back pain and restore your quality of living. Schedule an appointment with one of our experienced doctors at your earliest convenience to learn more.